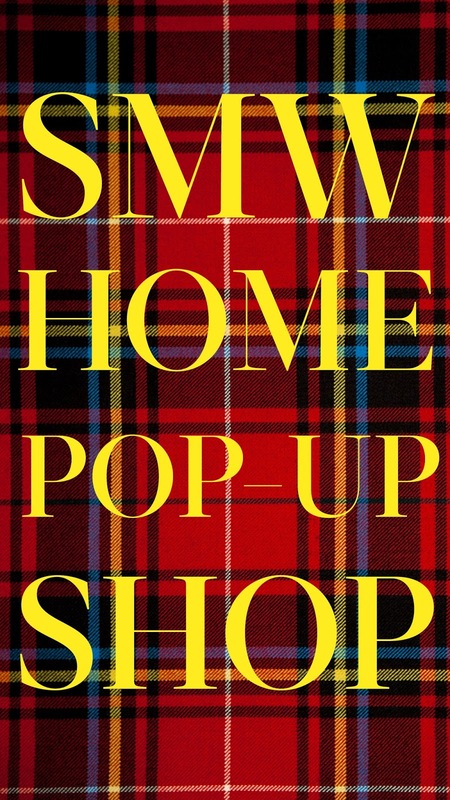 "SMW Home's Pop-Up Shop . . . "
Such fun news to share! SMW Home will be at 3255 Sacramento Street in June sharing all things tartan and toile for your home (and your dog) (and even a little something for your closet)! 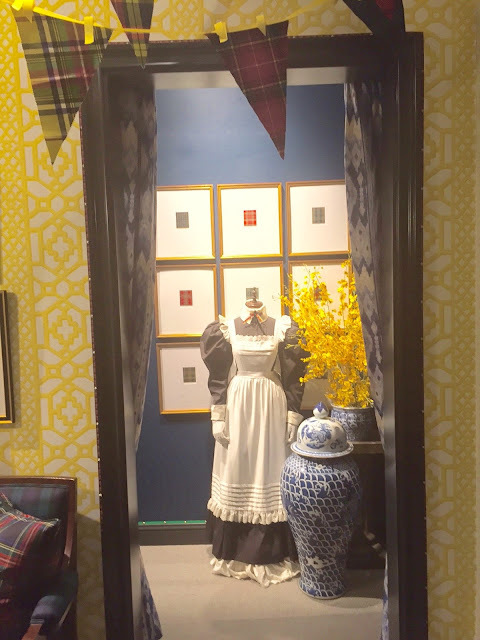 SMW Home Pop-Up Shop - June 2016 from Scot Meacham Wood on Vimeo. If you're in the Pacific Heights neighborhood stop by 3255 Sacramento Street here in San Francisco and say 'hello!' Or you can always shop with us online! 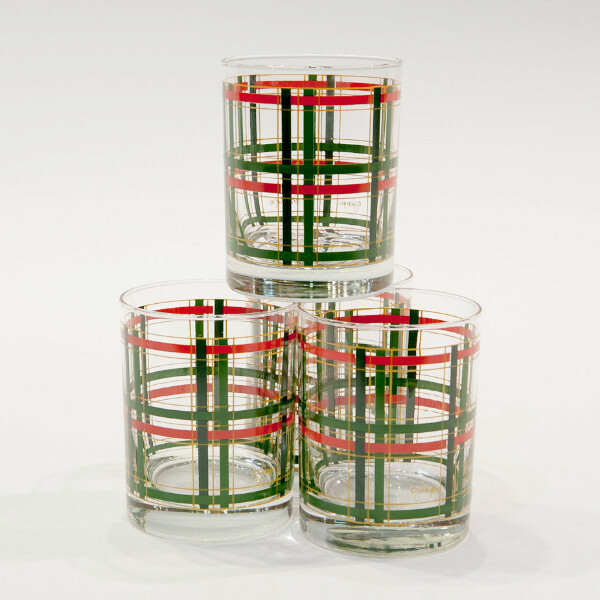 We've got the perfect collection of chic accessories for your home! "No Peeking . . . "
No peeking. Stop by tomorrow for a great big - and very exciting - announcement. "Cocktail Friday - The Earl Grey Martini . 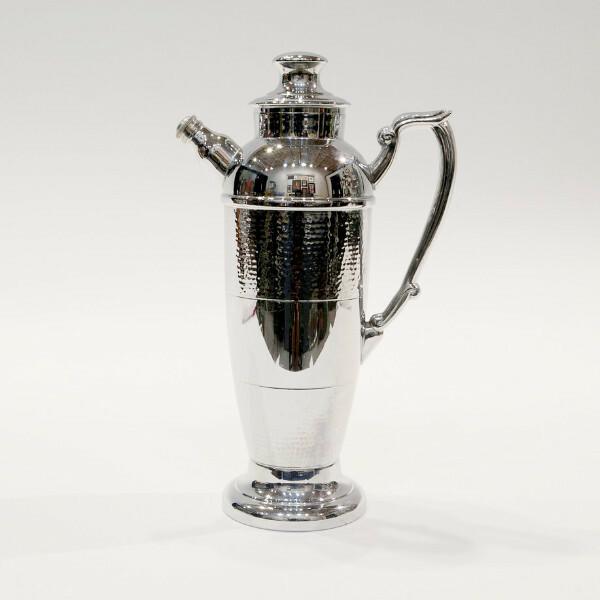 . . "
Place the gin, Earl Grey tea, lemon juice, sugar syrup and egg white into a cocktail shaker and shake well. Double strain the liquid into a Martini glass and garnish with a lemon twist. Tune in on Tuesday of next week - I have a BIG announcement to share with you! "How Much Wall is There in Wallpaper . 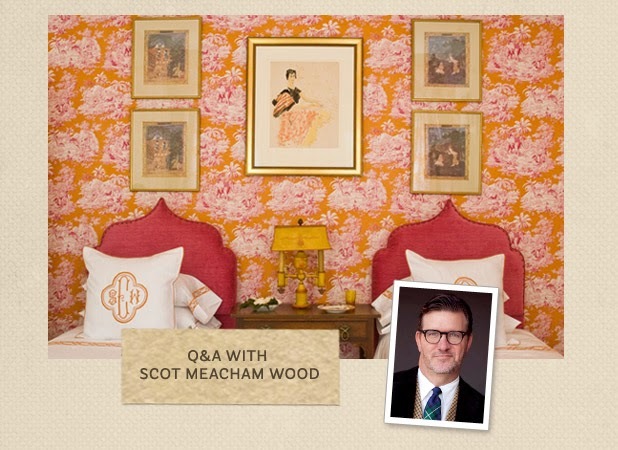 . . "
I thought I'd share a few of my posts from my long-running advice column at House Beautiful . . . . this time casting my eye upwards . . . .
Q: "Wallpaper — in or out? And what are some great ways to decorate with it? "—Mary P.
A: Mary, that's a great question with a simple answer. It's in, totally and completely. While I'm shopping for my own clients, I'm seeing that the selection seems to be moving to the far ends of the design spectrum — either very bold or very minimal. For boldness, I'm loving proudly-patterned papers, such as oversized geometrics and metallics, as well as more classic patterns that are updated with bright, saturated colors. On the other end of the design spectrum, grasscloth is something I use in many of my designs. There is a large variety of color in today's grasscloths, so you can use them in one hue to add depth and interest, instead of just a plain painted wall. As far as applications go, I wouldn't put too much significance on the word "wall" in "wallpaper." Cover a ceiling or line bookcases with it to liven up a room. In my own house pictured above, I used a classic grasscloth from Phillip Jeffries as the backdrop to the art collection in my entryway. The textured surface gives the space a subtle design note, but it also allows the artwork to take center stage. Finally, I also always order a bit of extra paper for all of my projects and save an unopened roll just in case we need to do any repair work in the future — that way I know we have the exact color match. And you should hang onto those partially-used rolls because they can make an excellent wrapping paper! For a complete archive of my HB.com advice columns - click here. "Cocktail Friday - The Gin Fizz . . . "
It wouldn't be a proper summer without a proper Gin Fizz. Let's toast to glorious afternoon, warm evenings, and good times with great friends! 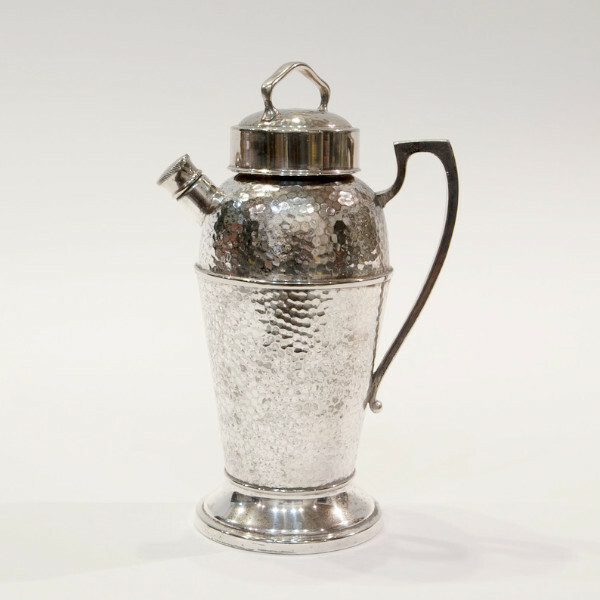 Give it a 'shake' in our 1930's era Cocktail Shaker. Shake up the gin, lemon juice, sugar syrup, sugar and egg white (if using) in a cocktail shaker with a little ice and strain into a highball glass half-filled with ice cubes. Top up with soda water. 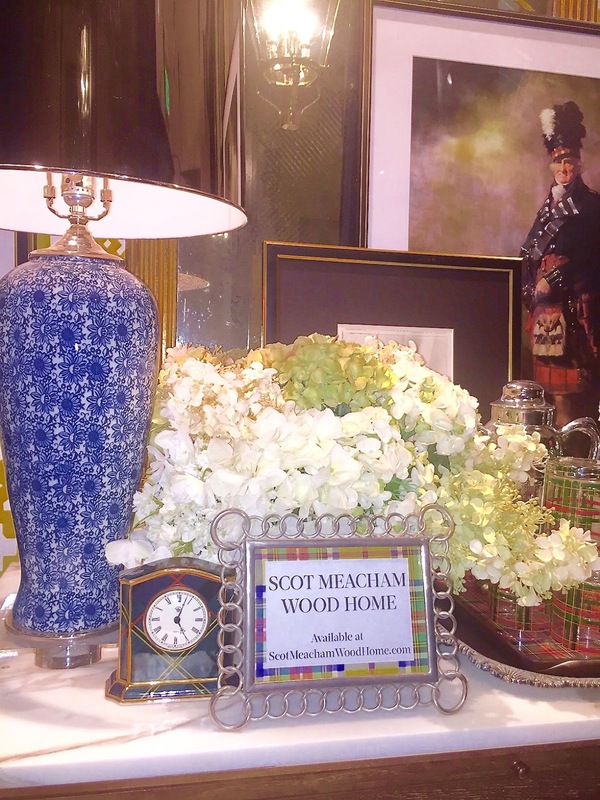 Take a peek at our entire collection of Vintage Barware at Scot Meacham Wood Home. It's perfect for summer entertaining. "How Often Does One Make Over . 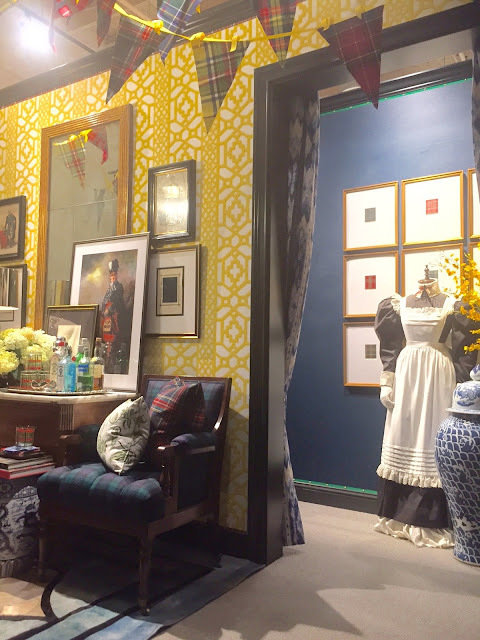 . . "
I thought I'd share a few of my posts from my long-running advice column at House Beautiful . . . . this time casting my eyes towards Spring . . . .
Q: How often do you recommend painting and making over your home? —Donna T.
A: Donna, I think with Summer approaching, your question is very timely. Our homes reach their apex of "clutter" over the holiday season — with all the seasonal decorations, company, and numerous opportunities to entertain. 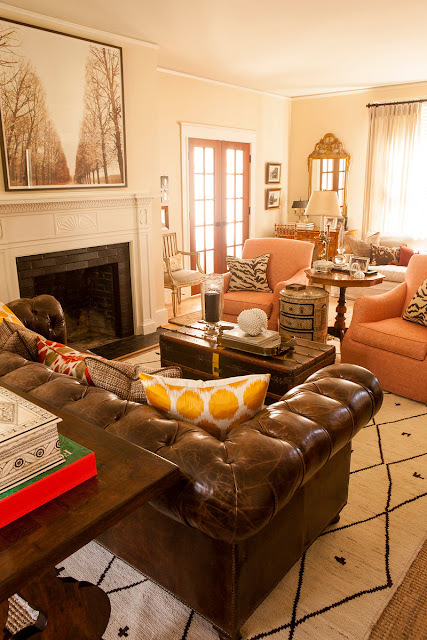 But when the new year rolls around, I think we all begin to feel the need to freshen up our homes. Let's answer your question in the three different directions you could take. This process always feels the most invasive. It brings to mind the removal of most of your furnishings, a kind of "back-to-square-one" mentality. Depending on your lifestyle, I like to see rooms updated every 5 to 10 years. Quite often your style evolves, and decisions that you made several years ago don't feel as "true" now as they did then. Repainting is clearly a part of this process, as well as cleaning, repairing, or replacing furniture and floor coverings that are beginning to show wear and tear. This one is a favorite of mine. So often in our homes, as new pieces come into the house they just get put in the best place available — and then tend to loiter there. A new piece of artwork will be hung on an open wall or a new decorative accessory gets placed on an open spot on the shelf. 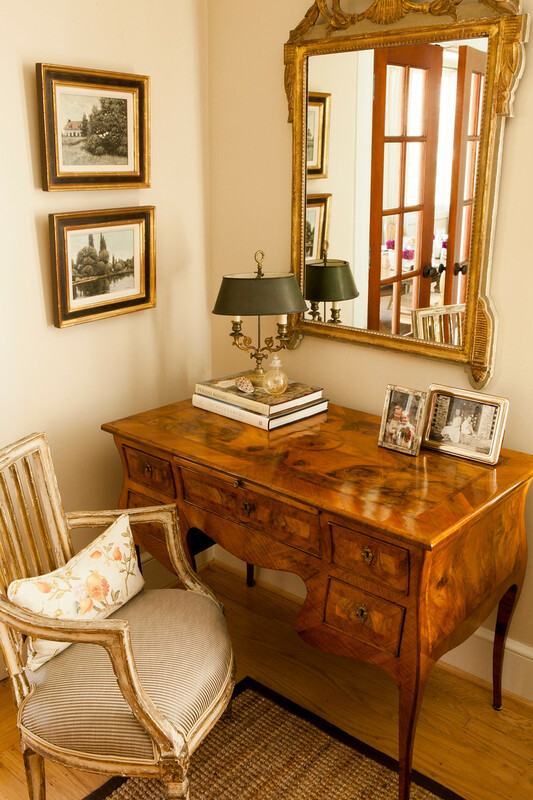 When I get in the mood to "re-style," I'll pull everything out of the room — all the accessories, lamps, sometimes I'll even take down all the artwork. Everything just gets stacked on the dining table. Then, with just the furniture in the room I'll double-check the space for traffic flow and adjust the furniture if needed. As each piece is returned to the room, it gives me a great chance to edit my belongings and remove items that are just taking up space. Sometimes items or artwork will be stored away, only to be discovered with delight at a later date! This is often what serves as "spring cleaning" at my house. This process is much less involved and should happen with a fair amount of regularity. It can be as simple as fresh monogrammed bedding and pillows for your bedroom — like the marvelous bedding in the image above. Maybe the towels in the bath should be replaced. You know how your car always seems to drive better just after you've taken it to the car wash? This is kind of the same thing for your house! "Cocktail Friday - The Moll Cocktail . 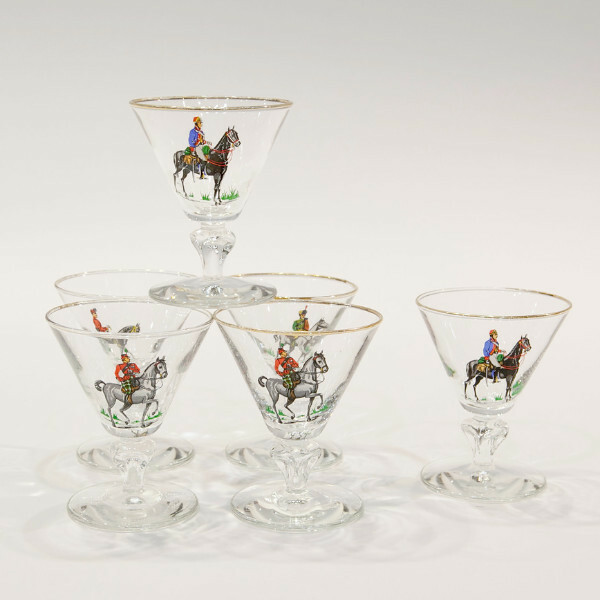 . . "
Let's make Fridays fun again - with a vintage cocktail! Here's to summer parties, good friends, and great design! I think we should start with a classic . . . 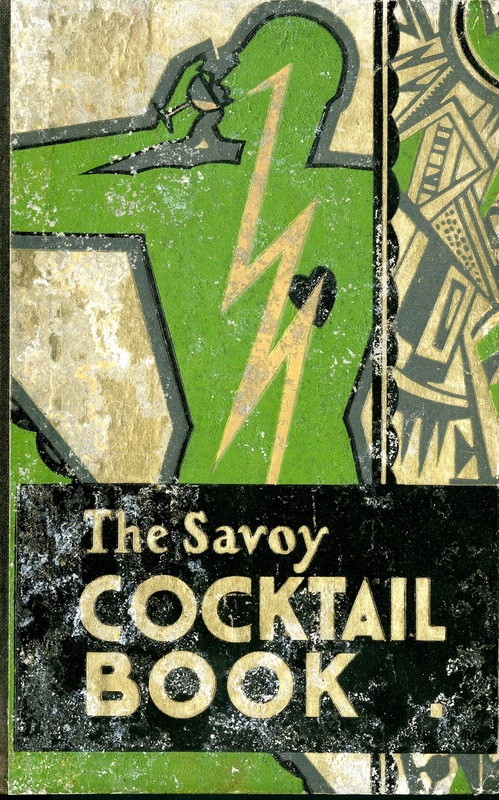 The Moll Cocktail . 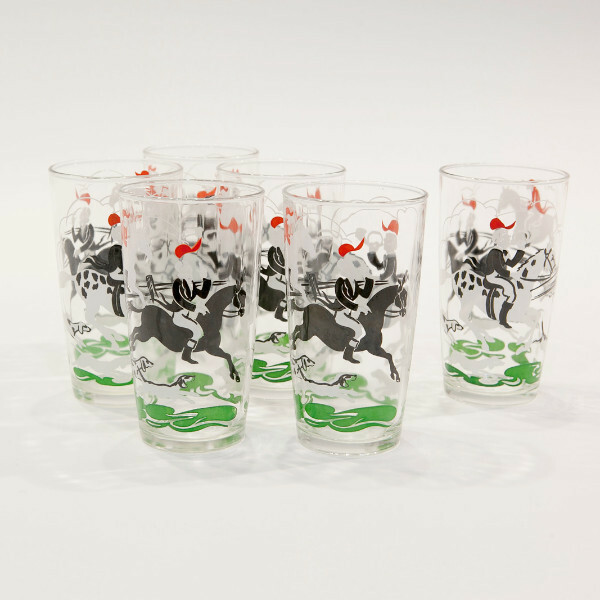 . . a perfect match with our new collection of Vintage Barware. Adapted from the famous Savoy Cocktail Book of 1930.
so be sure to include them! "SMW Home - The Tartan Party Windows . 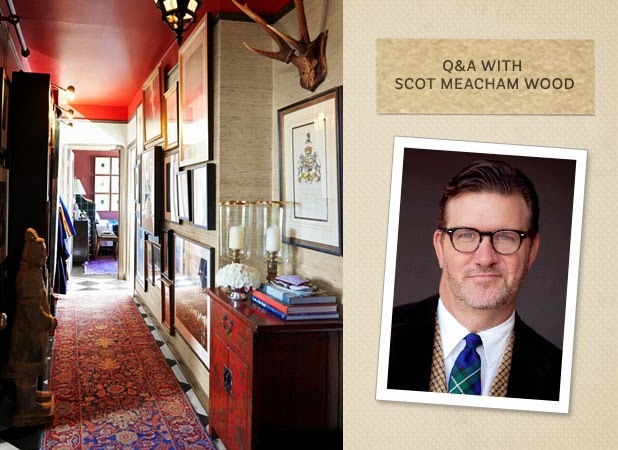 . . "
When I first launched SMW Home last fall, one of my initial goals was to broaden the uses of tartan in interior design. It's such an iconic textile - but, it also can read much like a highland romance novel if you're not careful with its use. 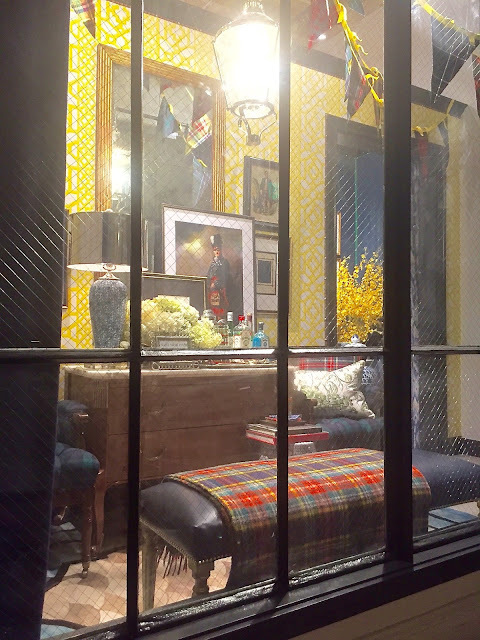 So after the success of our previous more classically styled "The Scottish Lodge" windows here at the office this winter - I wanted to really open up the parameters and do something brash and bold and almost aggressive. I immediately fell in love with the idea of having a party - especially with the launch of our collection of Vintage Barware at SMW Home. 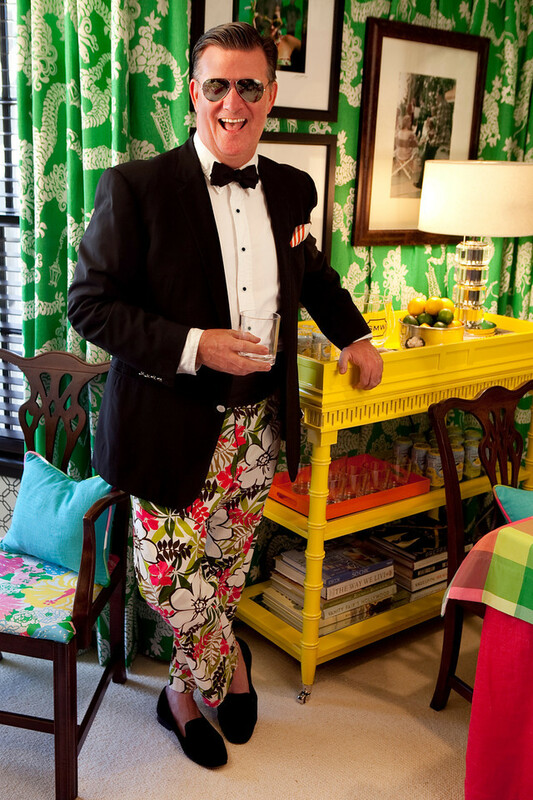 I've never really shied away from using colour and pattern - so mixing bold hues and competing motifs has never scared me. I also wanted to show even more of our custom and traditional tartans - so creating a canopy of pennants seemed the perfect solution. Luckily no one was around when I had the 14 foot ladder tucked inside the office with miles of ribbon and a huge collection of custom tartan flags that I needed to create this! (There was only a mild amount of swearing) But - in the end - it certainly does feel celebratory! My Edwardian maid "Mary" also found a new home. Honestly - I think I'm just going to use her in every window going forward in some way! She just delights all of us each morning when she greets us on our way into the office. 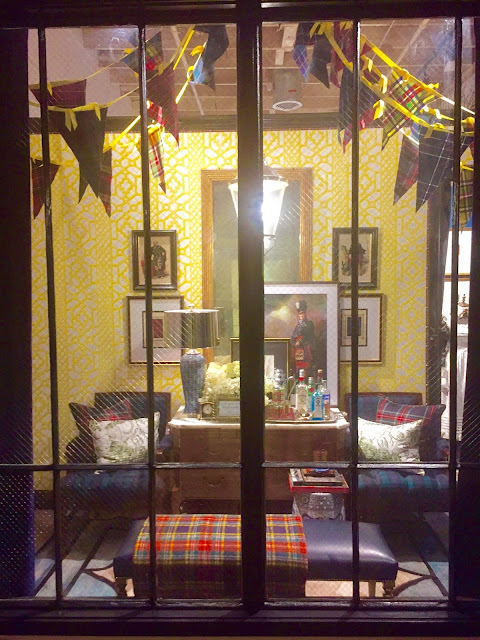 We ended up with such a great variety of our products in the window that I was able to create a new "Shop the Window" tab on our SMW Home website. 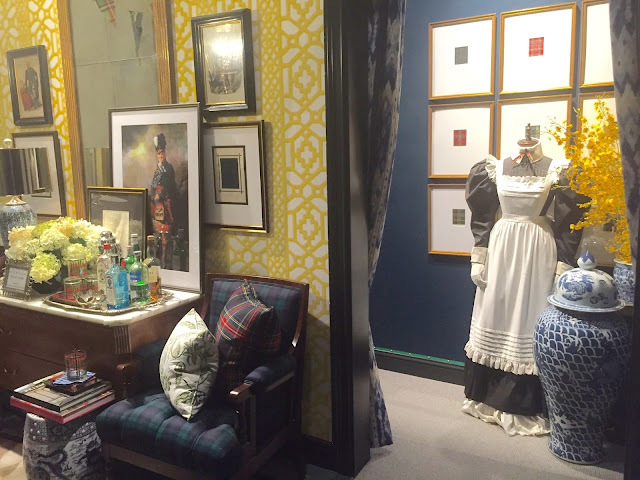 You can now shop the wallpaper, decorative accessories, even some of the furniture! 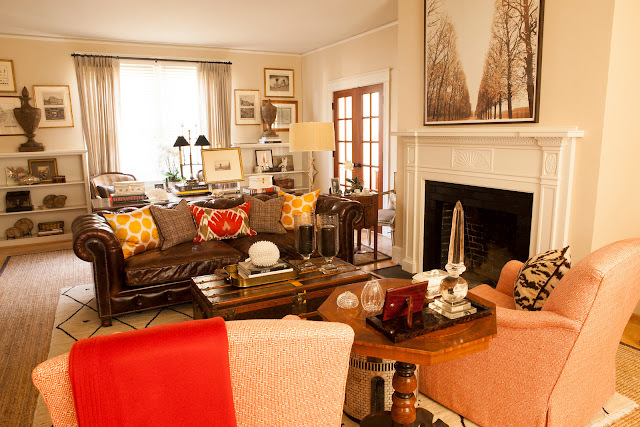 "Before and After - The Presidio Living Room . . . "
I know how much y'all love a good before and after story - and this one is especially charming. It's the living room from the same project I shared a few weeks ago. Beautiful spaces. Gracious proportions. And TONS of light pouring in through an endless supply of windows. Here's a peek at the before . . . .
. . . And here is the after! We used a completely neutral palette for the envelope - sisal flooring, a neutral paint colour, and simple linen window treatments. But, we got a little punchier once we started to furnish the room. A mixture of classic leathers with persimmon tweed arm chairs - with just a few pings of yellows and oranges in the decorative accessories. I loved this original fireplace - with the classic fan detailing and fluted uprights. The french doors lead out to the new chic dining room that I shared a few weeks ago. Once again we were working on a very tight colour story - but, with some very well-placed accents colours of saturated oranges, bright persimmons, and saffron yellows. The layered Moroccan rug helps to define the main seating area within the larger space - but, also adds another opportunity for pattern and scale. to an otherwise dormant corner. There has been a long-going debate about the use of 'brown furniture' in modern design . . . and I'm here to tell you that I LOVE it! 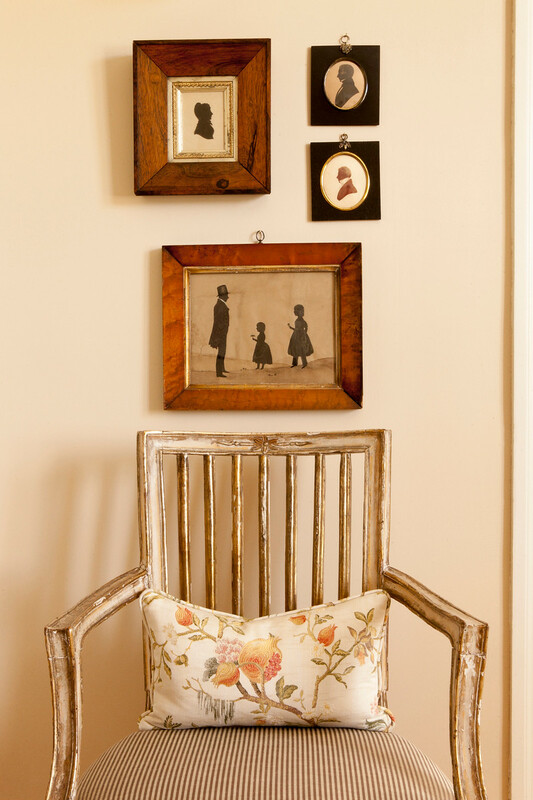 A mixture of antiques can give a new room such amazing emotional depth - and provides a contrast point for the more modern pieces in the room. There will be more 'before & afters' from this lovely home . . . so watch this space. If you want to see the entire completed project - take a look!